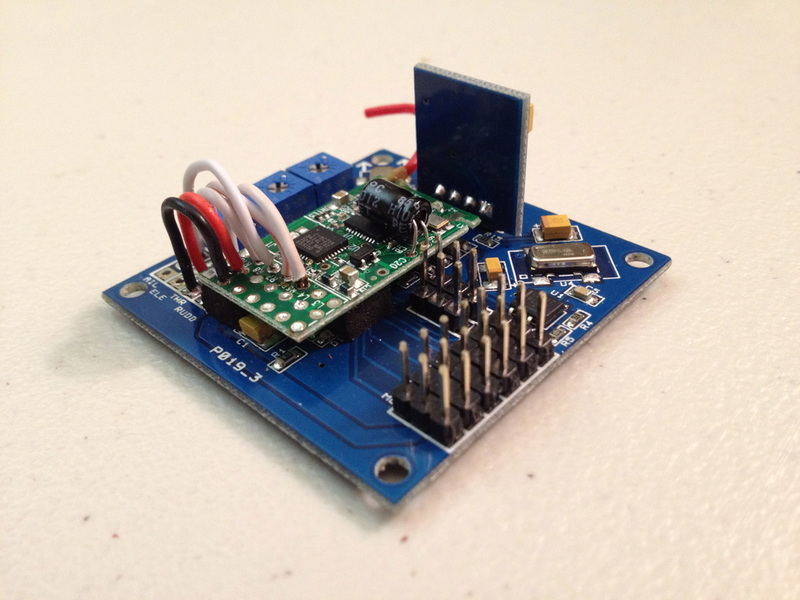 As you may know, every multirotor platform needs a controller board. For this specific build I decided to go with the cheap and reliable HobbyKing V3 QuadCopter Controller Board. The reason I decided to go with this board was because it is relatively easy to tune compared to the other options out there (MultiWii, Naza, Ardupilot, WKM) and because they are a lot more affordable than almost every other controller out there (starting at $15). When I connected my OrangeRX Receiver to the controller board, I did not like the look of having long wires reaching all over the place, so I made a modification. I took the the receiver out of its case and desoldered all the pins from the channels. I then took the controller board and desoldered those respective pins as well. I soldered short jumper wires connecting the receiver directly to the controller board and because the controller board doesn't need power from all four channels, I soldered only one set of positive and negative wires. I then mounted the receiver on the board itself using 4mm Thick Double-Sided Foam Tape. The whole modification was relatively simple to do and it makes it very easy to move the controller and the receiver as one unit between different multirotors. Due to the fact the stock firmware on the controller board was Quad + configuration and I wanted Quad X, I had to flash the board with new firmware. At the time I purchased my programmer, eBay was the place with the best price so that's where I bought it. 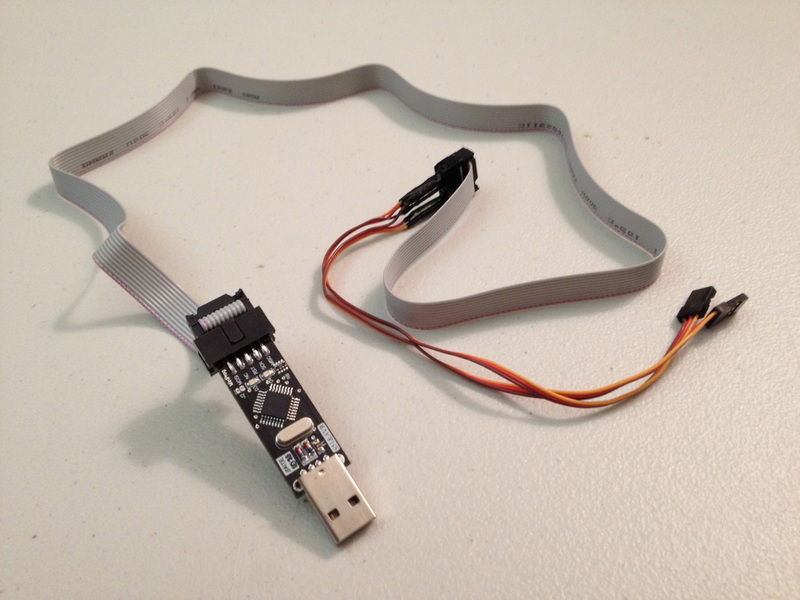 Unfortunately, the programmer was designed to use a 10 pin interface and the HobbyKing board uses a 6 pin interface, so I had to make a small modification to the adapter. Using the pin layout that I got from David at RCExplorer, I was able to use 20CM Servo Leads and reconfigure the pin layout. 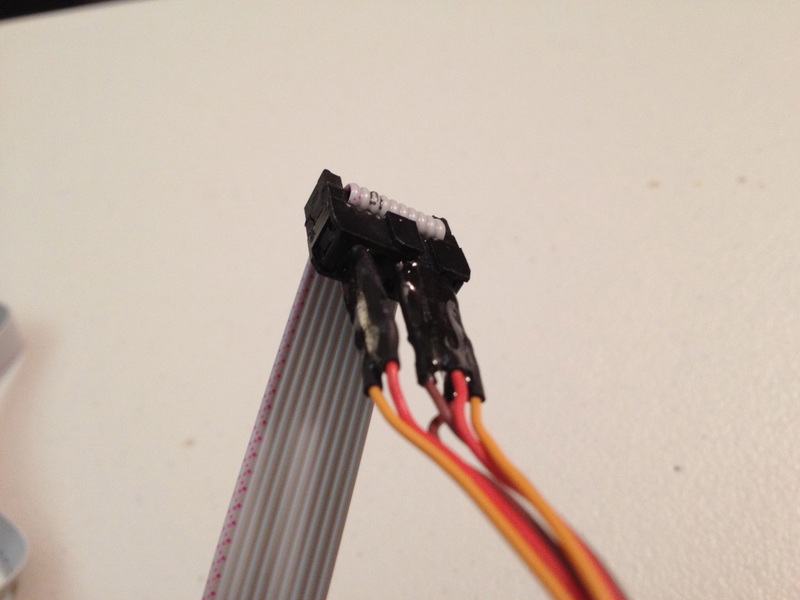 I took the male ends of two servo extensions, separated them out, and then used 2mm Black Heat Shrink to keep them from making contact with each other. I then took those ends and inserted them into the adapter so that I could match the pin layout needed and then added some 5 Minute Epoxy to keep it rigid. 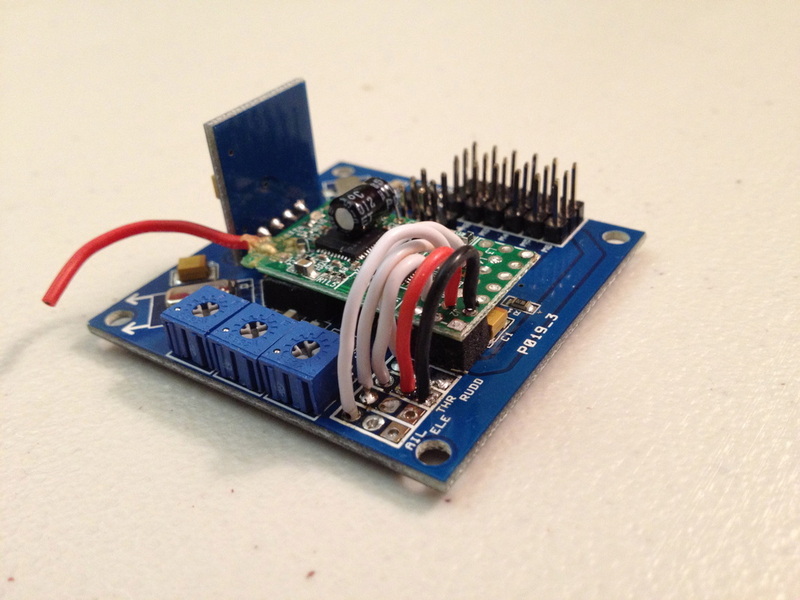 The result was a six pin adapter that allowed me to flash the controller board with very little effort. Note: HobbyKing has now come out with their own custom USB ASP Programmer that already has a built in 10 to 6 pin adapter. Their price is the same as the ones available on eBay, so it is up to you where you would like to purchase it.